We Are No Longer Accepting New Members. But Don't Leave Empty Handed! 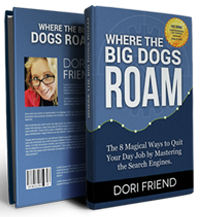 The 8 Magical Ways to Quit Your Day Job by Mastering the Search Engines. The book is 100% FREE! Just Enter Your Best Email Below and Get the FREE Instant Access! SEONitro, LLC. - Copyright 2015 All Rights Reserved.